Your dental hygienist is trained to consider and care for all aspects of oral health. This plays a massive role in averting dental problems. Gum disease is a leading cause of tooth loss in adults. It is also easy to prevent this. Regular visits to dental hygienists can prevent and treat gum disease through the removal of plaque and calculus with cleaning that is professional and educational tips on how to maintain a clean mouth. Research indicates that lack of oral health can have a negative impact on the entire body, with current studies showing a link between poor dental health and heart disease as well as other complications like diabetes and pregnancy problems. More links are discovered to other diseases too. Moreover, hygienists are holistically trained to provide diet and lifestyle advice to prevent oral cancer, tooth wear, and tooth decay. Having a healthy, clean mouth can add to your health and your image. Hygienists can directly influence how well your teeth stand up to scrutiny. The most dental disease can be prevented. With the right guidance and advice, one can safeguard dental health. If dental health is in good shape, there are greater chances of having good general health. The two together are linked. Dental disease can be prevented by the dental team, but the role played by dental hygienists is of paramount importance. So, if you are facing dental phobia or running away from a dental office, talking to your dental hygienist may help. Dental hygienists are trained and qualified to provide education and treat patients so they can learn more about diets to follow for healthy teeth, how to use a toothbrush, important inter-dental cleansing methods and instruct, pastes and fluoride gels when needed, sealants to teeth when needed, gum treatments in the form of simple or complicated cleanings. The importance of working with a dental hygienist is critical. Dentists can work with this professional to ensure prevention remains in place for dental problems and issues. Each patient is unique and preventive plans should also be personalized. The hygienist understands what works for patients and how to respond to certain circumstances. Dental hygienists need to be visited at least twice in a year for effective maintenance of dental health. If gum disease is experienced, three appointments per month is a must. Your dental team can discuss it with you. Excellent dental habits can be time-consuming, but those with dental hygiene can have better gum health and dental well being. Patients need to improve their habits and brushing methods and one of the most important members of the dental team who can help them to do this is the hygienist. A technique that works for you is important. Happy, motivated patients can achieve dental health milestones more easily. Dental hygienists can also help younger patients to access better dental care. They provide preventive treatment along with dentists like toothbrush guidelines and fissure sealants. For younger and pediatric patients, preventing dental decay is the main focus, rather than battling gum disease. Dietary advise needs to be considered along with sugar intake frequency. This is more so if there is a constant decay problem. Patients need to be attended to regularly and receive regular care for preventing treatments of more advanced nature. Regular visits and effective communication with the dental hygienist will bring about better health. Visiting a dentist involves more than just seeing one. One of the more important aspects of regular dental care visit is thorough teeth and gum cleaning. The cleaning is skillfully provided by dental hygienists. This is one of the many benefits these dental professionals can provide. If you go by the motto prevention is better than cure, you need to specialize in hygiene and preventative oral health. During dental visits, dental hygienists can aim for treatment, prevention, and education for maintaining dental health. 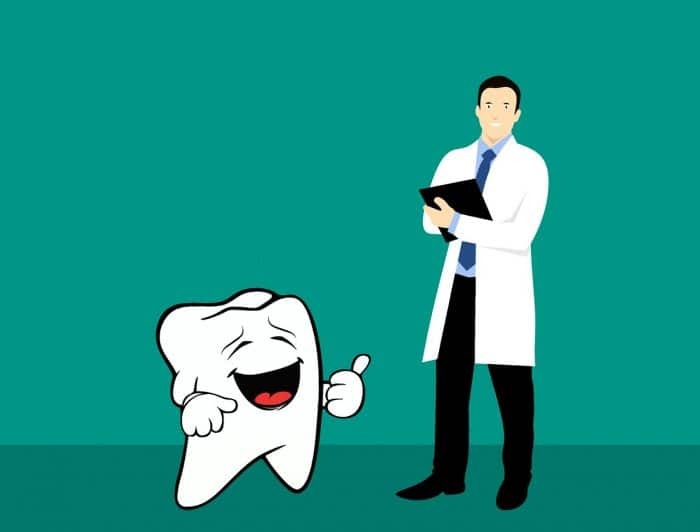 Along with cleaning teeth and gums to remove tartar and plaque, dental care specialists can examine for problems such as gum disease and tooth decay and provide guidance on the practice of good dental care. Prevention is easily one of their many priorities. Dental hygienists can offer expert advice on protection of dental care. The right dental aids are important, for the best brushing techniques, aiding in gum disease and suggesting a replacement for food and drinks that damage dental health. Dental hygienists work with dentists to provide a wide range of dental care. Functions of the hygienist and the dentist are different. Dentists will treat and diagnose problems in different development stages. The hygienist will carry out preventive treatment to limit the role of dental issues. Dental hygienists have a role which is well defined, falling under the categories of promoting oral health and clinical treatment. The necessary procedures need to be carried out to prevent the risk of developing gum and periodontal disease. A combination of polishing and scaling treatments ensures effective use of plaque, staining, and bacteria from the teeth. The dental hygienist can be visited for the treatment of gum diseases. Treatment will, therefore, require scaling and application of antimicrobial materials beneath the gums with the use of anesthetics. Dental hygienists play an important role in preventing gum disease and tooth decay, using more effective methods for removing bacterial and plaque-related infections. This treatment is essential if the prospect of tooth loss has to be averted. Experts can find effective methods of combating halitosis or bad breath. During the visit, a healthy diet is needed for maintaining oral hygiene. Brushing the tongue and preventing the buildup of bacteria on a daily basis is equally vital. The top of the tongue should also be brushed for those who drink red wine or smoke. Food, as well as drink, tastes better if advice is followed. This is one benefit most people do not have knowledge about and talking to your dental hygienist can help. With over 30 percent of the population expected to develop gum diseases at certain points in their lives, the onset of this disease can easily be reserved by routinely brushing the teeth, flossing and scaling. Advanced gum disease is likely to cause teeth loss. Visiting a dental hygienist can lower and manage the disease’s impact. Visiting dental hygienists can benefit a person, in terms of health and happiness. Healthy teeth are the basis of an attractive smile and the accompanying confidence and self-esteem. If you have been avoiding the dental hygienist, you can miss out on a lot when it comes to the dental health of your teeth. A lot has been impacted by the emergence of a new school of thought as far as dentistry is concerned. Significant progress has been made in not just curative but preventive treatment as well. Education and information have substantially improved. More people can benefit from retaining their original pair of teeth if they make the effort to communicate with a dental hygienist. 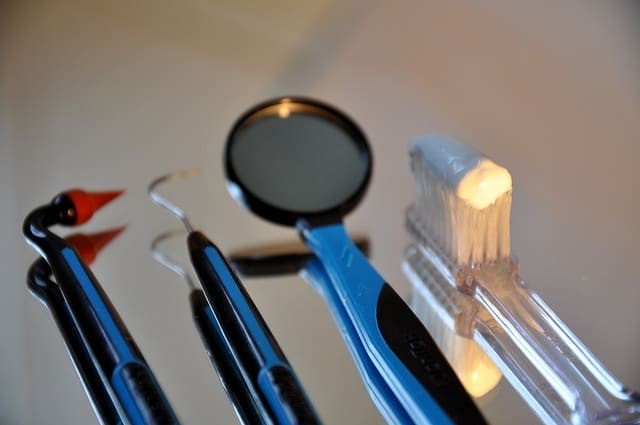 Dental hygienists play an important role in approaching dentistry, helping not just to maintain good dental health, but avoid costs and discomfort that comes with replacements and repairs. As per the National Health Service, close to 50% of 35 year-olds are impacted by some form of gum disease. The problem is so small that is unnoticeable, except when it comes to the trained eye. Yet if neglected, it can lead to serious issues. Unlike problems in teeth, a disease in the gums is painless and goes undetected because of this. With correct oral hygiene programs and initiatives, gum disease can be easily avoided. Additionally, dental hygienists can provide personalized advice and treatment for eliminating the problem, leading to improved oral hygiene and less likelihood of losing teeth. If you want to avoid seeing the dentist more regularly, visit the hygienist. The lifestyle you follow, brushing habit and other aspects all affect dental and oral hygiene. Visiting the dental hygienist on a daily basis means you can avoid seeing the dentist for continuous treatment. In the end, prevention sure does beat curative care. Thanks to a healthy pair of teeth, you can have a healthy smile. Cosmetic dentists are not the only route to attaining healthy teeth. Habits like drinking coffee or wine or smoking are just a few instances of how you can face a problem. But if you want freedom from plaque and tartar deposits, that build up and impact the teeth, opt for a trip to a hygienist. This can help to minimize the impact of harmful habits like smoking, tobacco use, and alcohol. As far as the examination of teeth and gums are concerned, oral cancer screening can also be conducted using the services of a dental hygienist. Check for early signs of the disease as this can lead to more successful treatments. On account of tobacco smoking, the teeth are likely to get damaged and with it, your healthy gums as well. 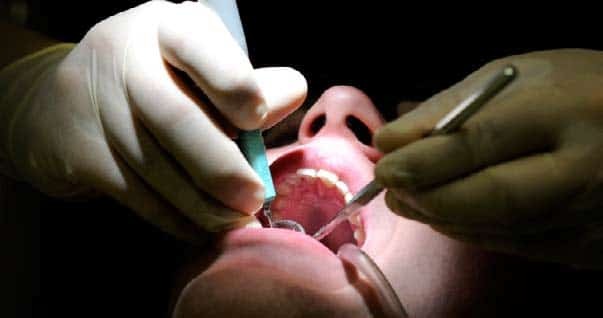 Oral cancer is a serious threat to your well being. While people are concerned about bad breath, they do little about it. Brushing teeth regularly and using mouthwash can help in keeping the breath fresh. It, however, does not help in retaining confidence across the day. Experiencing halitosis is a real problem. Dental hygienists can give teeth deep cleansing and avoid problems while recommending the best products to get you across the day. Hygiene appointments regularly are essential for everyone and many people visit their hygienists between three to six months. This is based on the type and number of fillings, dental implants, and crowns in the mouth. The hygienist works with other specialists to create the right maintenance schedule for dental patients. 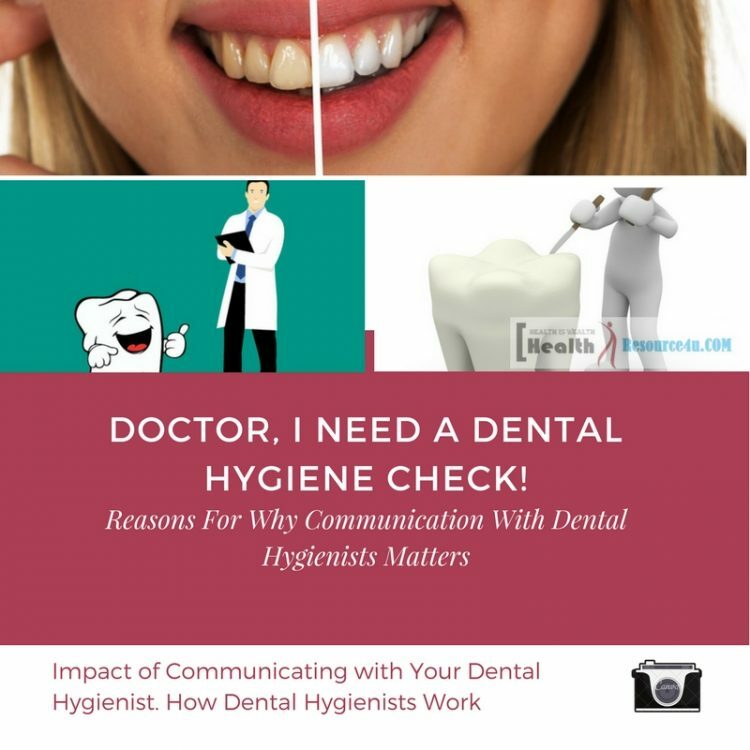 Openly communicating and regularly seeing the dental hygienist promotes good health and it is a great way to promote gums that are healthy too. Excellent hygiene is the way to averting dental implants. Regular maintenance and cleaning keep the gum as well as the bone surrounding the dental implants free from disease and in good health. Qualified, registered with dental councils and fully capable of preventing oral or gum disease and maintaining oral health, hygienists are an excellent option. During the visit, dental hygienists assess present dental health and develop maintenance plans to meet needs along with specialists. Every person’s dental needs are unique and the plan will take existing medical problems and dental problems that could impact dental health or treatment. Each plan is tailored to help retain dental implants as well as natural teeth without the requirement for further treatment. While scaling and polishing is a treatment known to many, this routine treatment can be followed by hygienists to provide excellent teeth. Having teeth that are professionally cleaned is essential to maintain good health. If you are following a certain brushing and flossing routine, it will leave out specific areas permitting the build-up of plaque and its hardening into calculus. Additionally, calculus and plaque are rich in bacteria that inflames and infects the gums. By removing the calculus at the time of cleaning, the hygienist can reduce chances of gum disease. Along with cleaning the teeth, the hygienists also assess the gum health surrounding the teeth and it also becomes essential to measure the pockets between the teeth and the gum. This provides an indication of the gum health and serves as a record for the baseline. One can also improve the brushing and flossing routines by communicating and working with dental hygienists. This is also critical if early warning signs of gum disease occur as improving oral hygiene routines can even prevent or bypass this disease. General information about dental products could help and further, dietary advice can impact dental health too. For dental patients, implants offer the chance to have teeth that feel and look like natural ones. Much like your own teeth, the gum surrounding dental implants need to be maintained and cared for. Implants are fashioned from inert materials. Surrounded by living tissue, including bone and gum tissue, dental implants need regular cleaning to obstruct infection. If one lacks the right care, the tissues around the dental implants become impacted by diseases. Gum disease is a very serious threat as it can lead to implant failure. Dental implants are generally successful, but if oral hygiene is low, loss of bone and infections of the gums can threaten dental implants. When dental implants are first received, there is adequate training on how to look after them. Regular appointments are an easy way to boost memory. 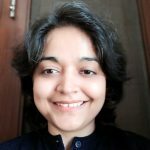 It is important to learn how to improve the technique and ensure you are maintaining dental implants well. There is also personalized advice on ways to improve oral care at the home and an oral hygienist can go the distance when it comes to techniques that must be used to care for dental implants. While dental implants are easy to look after, top oral hygiene can be easy to follow, taking a few minutes each day. Helping patients achieve and maintain excellent health can provide all the advice and information needed to take care of dental implants. With the right care, dental implants can be enjoyed for a long time. A dental hygienist can cut down on your dentist bills when it comes to dental implants. Dental hygienists must clean your teeth for a minimum of twice a year. A higher number of dental insurance policies are covering at least two cleanings per year. If the full advantage of benefits needs to be taken, a dental hygiene expert must be consulted. There are many important reasons to have teeth cleaned every half a year. Professional appointments for teeth cleaning can remove bacteria that lead to a plaque on teeth. If the plaque remains in place, it hardens and turns into tartar. This destroys teeth enamel and can initiate gum disease. Post the cleaning, the plaque recolonizes within 1-2 days, even if exceptional oral care is practiced. Reformation of plaque is necessary for a 6 month period. Once the calcification of the plaque takes place, using a brush will not remove it. Instead, special tools need to be used by the hygienist. Having teeth cleaned on a regular basis can also be effective for early warnings. On these visits, the teeth will be looked over and a sign of cavity, decay and other dental problems more serious than plaque buildup. Early signs of oral cancer can also be detected, once the dental hygienist is watching over the case. Hygienists will examine the teeth and check if any areas are a problem. At the time of cleaning, overall cleanliness can be checked and provides better oral care for your teeth. Specialized tools are used by them to remove plaque and tartar. Polish your teeth and floss in between the teeth. Make visits to dentists less painful with a dental hygienist to check areas you mentioned as painful. A registered dental professional, who is exceptionally trained in preventive dental care, a dental hygienist has the function of professionally cleaning the teeth and showing the most effective way to get healthy teeth and gums. Additionally, they provide advice and find ways to stop smoking. Fluoride treatment and fissure sealants offer better treatment for hygienists too. What can be expected from the first hygiene appointment? With each patient being treated as an individual, appointments need to be fashioned as per needs and concerns. This varies from gum health assessment to dietary advice, smoking cessation, dental care products, and professional cleaning. How is scaling and polishing done by a dentist different from that of a dental hygienist? Certain dentists will do this kind of work. However, for hygiene therapies like these, a dental hygienist is specially trained and can work with you to motivate and encourage you to look after your teeth and gums. How long does a dental hygienist visit take? A strong belief in a preventive approach to oral health can serve to encourage regular visits to hygienists. Gum health assessments can also be carried out by dental hygienists to trace the stage and possibility of dental disease. Initially, appointments can be anywhere from a month to 6 months. The time between visits is extended as teeth and gums become healthy. Changing tooth brushing practices of a lifetime can be tough. It is essential to get teamwork between self and hygienist to secure better health. 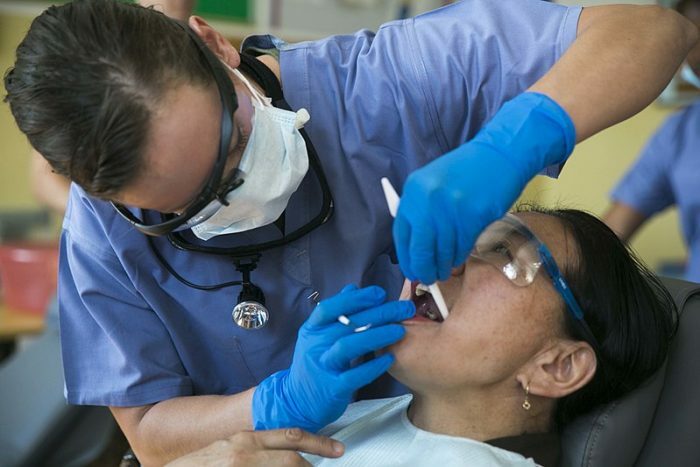 How does visiting a dental hygienist help you out? Gums form the foundation for the teeth and taking care of them is essential for good health. Bacteria built on the teeth daily can be a real problem. The hygienist can encourage maintenance of oral health. Does treatment hurt or is invasive? Treatment is usually pain-free and less invasive. If there is any discomfort, the anesthetic gels or local anesthetic can be used by a dental hygienist. Cost of treatment varies depending on how this is being carried out as well as the health of your teeth and gums. The hygienist may also spend a lot of appointments working to make the mouth healthy. Hygiene treatments are value for money. Is it important to visit a dental hygienist? Dental hygienists can make the difference to the state of your teeth and gums. With increased acid in the mouth and dental erosion caused by consuming foods and beverages with an acidity level of below 5.5 percent, dental hygienists play an important part in imparting dental health care. They are concerned with preventive dental health as well as treatment of gum disease. Correct ways to care for your teeth are also available from dental hygienists. Keep your teeth and gums healthy serving as an integral part of the dental team. This can save money in big ways by keeping gums and teeth healthy. What are the signs you need a dental hygienist? Halitosis or bad breath that does not go away, swollen or red gums, tender bleeding, painful chewing, loose or sensitive teeth and receding gums or teeth that appear long are signs you need a dental hygienist. Treatment performed by dental hygienists is not just for removing calculus, but preventing problems like caries and periodontal diseases, as well as treatment of sensitive teeth and keeping teeth white. Prophylactic treatment by dental hygienists can prove quick, easy and less costly sparing you from tooth pain and complex dental medical treatment. Dental hygienists work on correct treatment routines and focus on oral hygiene on an everyday basis. What problems can dental hygienists eliminate? Calculus resulting from mineral accumulation on plaque deposits can be a real problem. Calculus is yellow-grey in color. Additionally, its texture is rough harming the aesthetics of the surface of the tooth. The calculus building up differs from one person to another. Different individuals must go to dental hygienists at various frequencies. Calculus works on gingivitis, causing bleeding when there are brushing and halitosis apart, it also speeds up periodontal diseases, Gingival recession, and destruction of the bone supporting teeth. The calculus is removed at the time of treatment without damage to the tooth enamel and the surface comes back to being white and smooth. Dental hygienists also treat periodontal diseases. Calculus results from plaque and leftover food sticking to the teeth, resulting in the development of gingivitis. It is a common phenomenon from which ninety percent of the adult population suffers, as well as adolescents and children. Redness, sensitivity to touch, in the gingiva and bleeding when the brush is applied is a sign of gingivitis. Many people do not suffer from pain in the beginning, but as the condition deteriorates, they turn for dental help. Visiting dental hygienists can eliminate this problem. Additionally, a massive percentage of the population faces sensitivity to cold and heat, on account of exposure of the teeth’s roots, advanced periodontal diseases that are advanced, aggressive brushing or the use of hard toothbrushes. Dental hygienists can direct patients regarding which toothbrush and toothpaste to select. The aim is to brush in a manner that reduces sensitivity. When needed, treatment to lower the sensitivity can also be carried out.